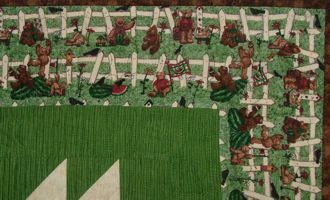 Teddy bears and Bear Paw blocks come together in this quilt. It seems to me that a teddy bear is the very symbol of comfort. How that dear stuffed animal can soothe a fretting child. But what comforts us now that we’re all grown up? Quilts, perhaps. 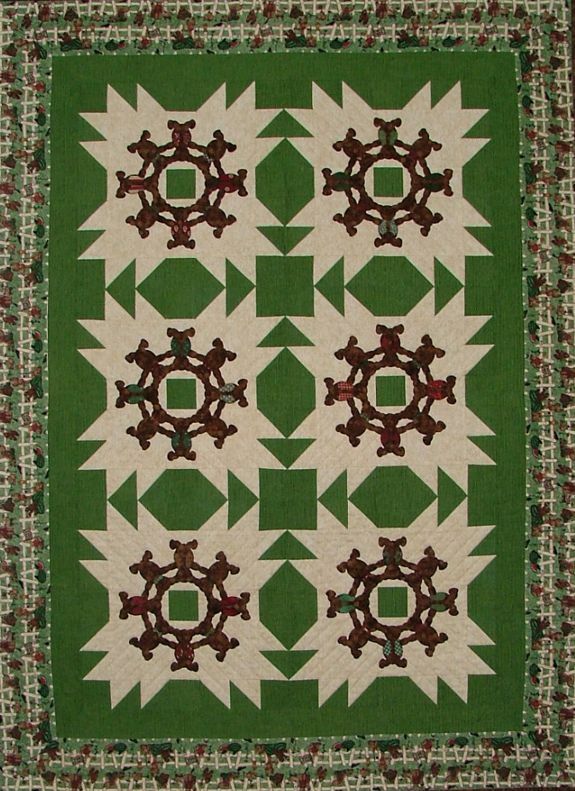 Whether we are making them or snuggling beneath them, quilts can comfort us during the storms of life. 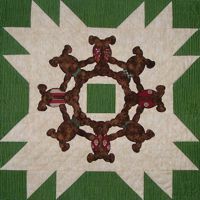 What a perfect combination, then, to have a quilt with teddy bears on it! But let us not forget those tidings of comfort and joy, the ultimate source of comfort born on Christmas day.